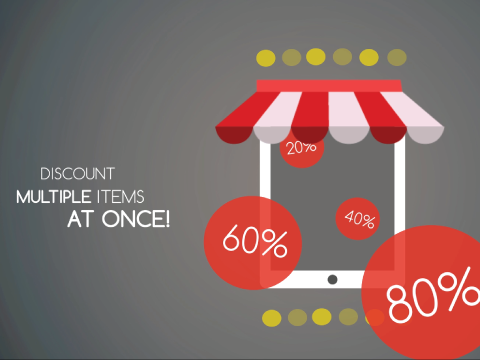 Place multiple products into your sale at the same time, so your customer can start shopping without any delays! "Let the SALE begin! Place multiple products in your sale in an instant." It is sale time! Seasonsale, bargainsale, bulkoffer, offer of the day/week/month, it doesn’t matter: more discount is better (according to your customers)! 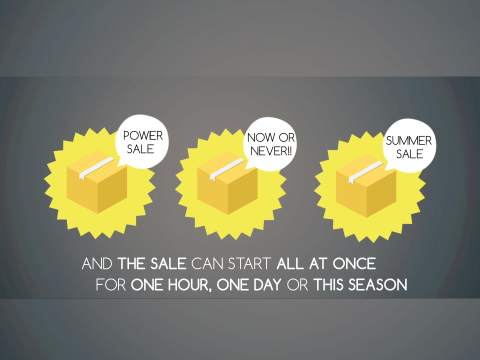 With powersale you’ll prepare your products for the sale, so your products will be discounted all at the same time. You can even plan ahead for the next sale. Easy, clear and efficient. Let the sale begin! With the powesale, you can plan your sale ahead of time. 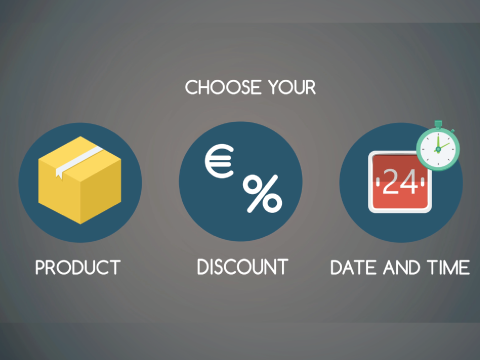 Choose your product, the discount, the date and time of the sale and the powersale app will do the rest. Do you want the sale to be available for a limited period? Just add an end date and time, and the powersale app will restore the ‘normal’ price in SEOshop at the set time. DotCommerce is an IT company base in Breda (The Netherlands). We are THE partner if it comes down to custom functionality, for both back- and front-end. We like to share some of the amazing stuff we’ve done for our customers with other shop owners on the SEOshop platform as well, which is why we started offering apps.